The sight of the poor dog is definitely heart-breaking and enraging for many dog-loving Americans. Someone passing by a home in Laurens, South Carolina saw a pitiful image of a glaringly emaciated and possibly lethargic dog. The group puts the estimate of Champ’s age at 16 months, weighing around 50 pounds, which is far beyond what should be the dog’s normal weight. A mastiff mix like him should be around 110 pounds. 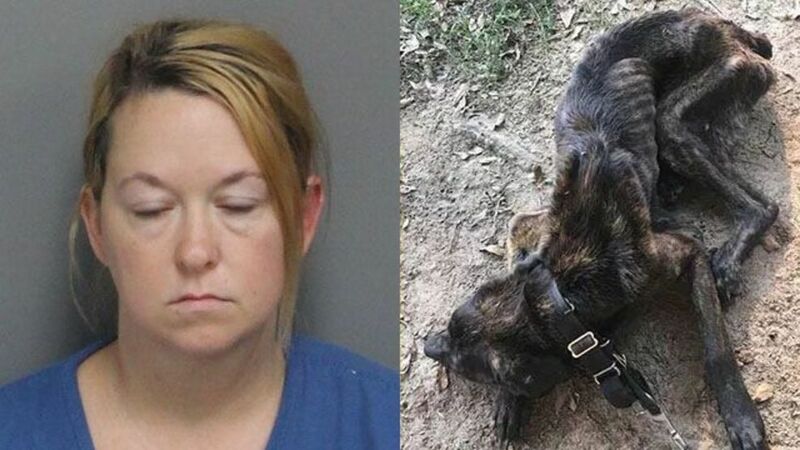 The dog’s owner has been identified- and charged after the starving dog was taken from her home. The woman is named Elizabeth James. James has been charged with animal cruelty. She is set to face a judge sometime in September. Giles Gilmer from the Laurens County Animal Control said that James told investigators that the dog belonged to her ex-boyfriend. She claimed that the guy left his dog with her. James was also charged with ill treatment of animals. A judge set her bond at $15,000 on Friday. It is not clear why James didn’t just bother to get the dog up for adoption or surrender to Laurens County Animal Control if she didn’t like the dog in the first place and cannot take care of him. Social media users are also calling for James to be held accountable for her gross neglect of the dog. Can we get an updated progress photo to see how the poor dog is gaining weight again?